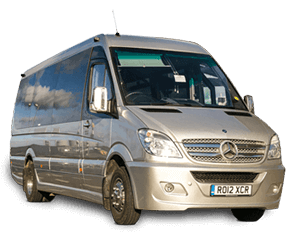 Ideal for a group of 9 to 19 travelers that does not require a lot of luggage, this type of vehicle will take you to your destination in comfort and style. 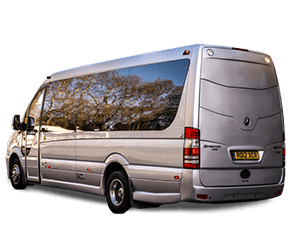 The minibuses are perfectly suited for longer journeys, special events such as weddings, corporate occasions, guided tours throughout London and the UK or airport transfers. 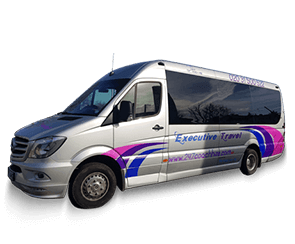 The 19-Seater Executive can be used by maximum 19 passengers with 16 pieces of hand luggage and 16 pieces of medium check-in luggage and 10 large suitcases. Medium luggage: 35.5 x 29.5 x 16in or 90 x 75 x 43cm (max weight: 25Kg).